The coming months of 2019 are bright as there are two lunar landings on the horizon. Already this year we have seen NASA fly by Ultima Thule (MU69, the farthest object ever visited) and the China National Space Administration (CNSA) land on the far side of the Moon (the first time in human history). With the launch and success of two missions coming in the next few months, the world will see India and Israel each land spacecraft on the Moon. Once successful, these countries will be the fourth and fifth to have landed a spacecraft on the Moon. Possibly more exciting is that one of these spacecraft is actually the first non-governmental attempt to land on the Moon! What are the goals of each mission, and which will land first? 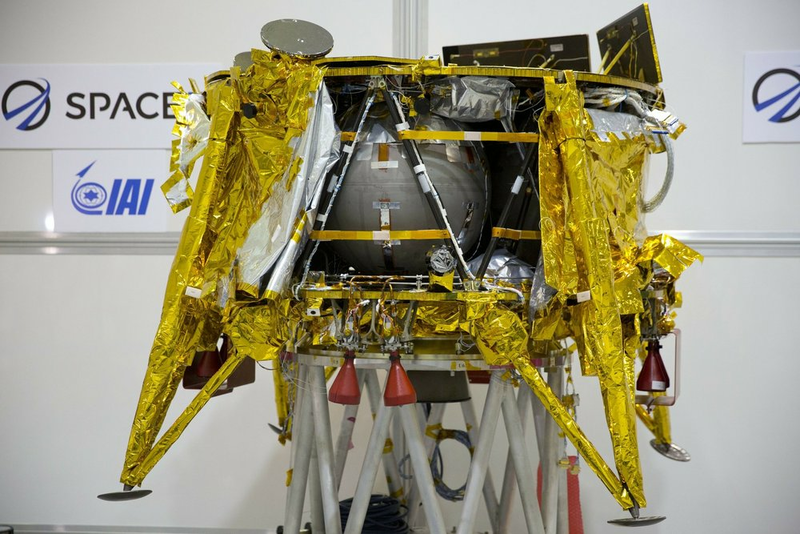 The Beresheet (meaning ‘Genesis’ or ‘In the beginning’) Lunar lander (previously known as Sparrow) was built in Israel by not-for-profit SpaceIL and Israel Aerospace Industries (IAI). It was recently completed at a cost of about 95 million USD. The 600 kg lander was built as part of the now defunct Google Lunar X Prize competition. It will now fly using mostly philanthropic private funding. The main purpose of SpaceIL’s mission is to inspire students in Israel to pursue science and engineering careers, though the lander will also collect observations around its landing site. This includes measuring the landing site's magnetic field using a magnetometer provided by the Weizman Institute of Science. NASA provided a laser retro-reflector for Beresheet to carry that will be used for laser ranging experiments. The navigation cameras round out the scientific payload of the mission. 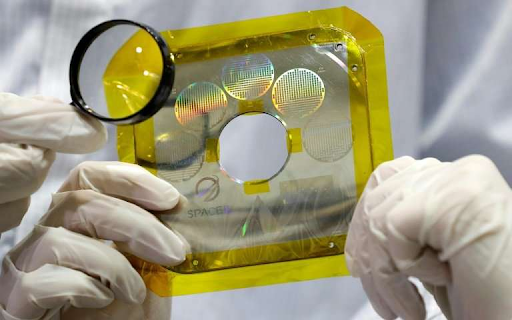 The spacecraft is also carrying a time capsule of three disks containing digital files of Israeli national memorabilia. Overheating is the key restraint on Beresheet’s lifespan due to the lander lacking any thermal control system. It is expected the lander will survive for two days on the surface before failing. The mid-latitude Lunar thermal environment has extreme ranges between -157 C (-250 F) and 120 C (250 F). Building in systems to handle this environment adds complexity, weight, and expense. This was a trade-off the Beresheet team had to make. Beresheet was packaged on January 15, 2019 for transport to Florida for launch. On the way to space, the lander will share a ride on a SpaceX Falcon 9 with Indonesian communications satellite Nusantara Satu (previously PSN VI) and other smallsat payloads. Current schedules show a launch occurring as early as February 18th. However, the spacecraft’s low energy approach to Lunar orbit will mean a landing roughly 3.5 months afterwards, in mid-May or early-June. Overall, Beresheet will be an excellent first demonstration of a very low cost non-governmental Lunar lander. This mission will serve as a proof of concept for the many commercial companies who are pursuing capabilities of landing payloads on the surface of the Moon in an economical manner. The other planned Lunar mission is the Indian Space Research Organization (ISRO) Chandrayaan-2 lander. This is the second spacecraft sent to the Moon by the ISRO, but the first to land and the first to deploy a rover. ISRO’s first spacecraft, Chandrayaan-1, orbited the Moon in 2008 where it deployed a surface impactor. The Chandrayaan-2 mission will launch on an ISRO Geosynchronous Satellite Launch Vehicle (GSLV) Mk-III. After arriving in Lunar orbit, Chandrayaan-2 will deploy it’s Vikram lander to the surface. ISRO’s 2.17 billion USD Chandrayaan-2 mission is targeting a never before visited landing region - the Lunar South Pole. This region is exciting to the In-Space Resource Utilization (ISRU) community because it's expected to contain significant water. Before the Vikram lander touches down, the Chandrayaan-2 orbiter will study the Moon from orbit. This includes taking measurements of Lunar mineralogy, exosphere, and topography. Once on the surface, the Chandrayaan-2 lander will deploy a six-wheeled rover to semi-autonomously explore. Key goals include performing ground level observations of the Lunar surface and analysis of soil conditions. The lander and rover are expected to operate for approximately 15 days after arriving. This is despite extreme cold temperatures reaching -238 C (-396 F) in some areas of the Lunar South Pole, such as in Lunar Permanently Shadowed Regions (PSRs). The ISRU community is eager for data on the regolith elemental makeup, including hydroxyl and water-ice. Playing it safe, ISRO delayed the original launch date of January 3rd after necessary system tests were not completed in time. The next launch window is in April. While this slip means a later launch than planned, Chandrayaan-2 is expected to reach the Moon 30-45 days after launch, in mid to late-May. This means that India’s Chandrayaan-2 could possibly land a few days before the Israeli Beresheet lander, despite launching two months later. Comparing the two missions directly is difficult but interesting. The mission from India is set to cost over 22 times as much as the Israeli SpaceIL mission (2.17 billion USD versus 95 million USD, respectively). However, this cost difference resulted in large mission differences. For instance, the Chandrayaan-2 mission includes a dedicated orbiter, lander, and rover while the Beresheet mission includes only a lander. The harsh Lunar environment still limits both missions, as evident by the lander duration. The much more expensive Vikram lander is expected to survive 15 days, only seven times longer than the two days expected for the Beresheet lander. Ultimately, however, the cost difference comes down to what is required for each mission. Beresheet was designed for a short, economical trip to the Moon and that is what it delivers in spades. Chandrayaan-2 was designed to deliver ground breaking science on a never before visited area, the Lunar South Pole. Whichever lander arrives first, the success of these missions will mean a first for their countries. Furthermore, the progress made during these missions is advancing lunar science and spacecraft capabilities. Every mission, whether a success or failure, is another contributions to the collective human effort of characterizing and eventually utilizing the resources of space.